Here at Advanced Dermatology of the Midlands, we offer a variety of cutting-edge cosmetic laser treatments to help you with everything from skin texture to acne and rosacea to hair removal. Our board-certified dermatologists and staff are trained in the safe and effective use of these lasers, and have years of experience helping patients reach their goals with the most advanced laser technologies. 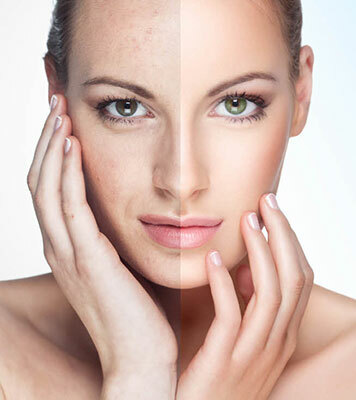 To learn more about the different laser and light treatments that we offer and to schedule an appointment with one of our skilled dermatologists. Laser hair removal has quickly become a very popular alternative to shaving or waxing. While it’s currently impossible to stop hair from growing at all, laser hair removal can significantly reduce the amount of hair that grows in targeted areas, and can stop hair growth for a more significant amount of time than other types of hair removal. Laser hair removal is safe for the legs, back, face, and even bikini line. It will require multiple sessions due to hair growth patterns, but the results are very comprehensive. All skin types are treatable. Our laser therapy uses a pulsed dye laser that emits focused heat, destroying the cherry angioma for good. Our treatments are generally very quick, although the time it takes per appointment and the number of appointments you need depend on the amount of cherry angiomas you wish to have removed. Q: I’m concerned about the side effects from Laser Hair Removal. Can I get permanent damage from the laser? What about hyperpigmentation or scars? A: Side effects from laser hair removal are rare. When done correctly by a trained professional, IPL or laser treatments for hair removal are very safe. Patients may have some slight redness or local swelling at the treatment site that typically resolves within several hours. On very rare occasions, blistering or burning may occur. You will need to limit sun exposure before and after treatments to minimize the risk of complications. Q: A few laser practitioners I have been to have given me conflicting advice about the length of time I should wait between treatments. Some say 4-5 weeks is the ideal period while others have indicated 7-8 weeks is much better if one is to target a greater proportion of hair in the right growth phase. What is your view on the ideal length of time that one should wait between treatments? A: This can vary depending on the patient and the area of the body that is being treated. Generally speaking, the waiting period when treating areas of the face is between 4-6 weeks and between 8-10 weeks for areas of the body. To develop the best treatment plan for you, visit a board certified dermatologist.